Becoming an excellent photographer is not owning the most expensive camera or mastering your latest gadget. However, is possessing the inherent qualities which allow you to notice beauty in the unexpected areas and have the ability to capture that beauty in a photograph. Whether you want to work in magazines, portrait studios, newspapers or on wedding occasions, there is a need to possess several characteristics which will give you mileage in the industry. 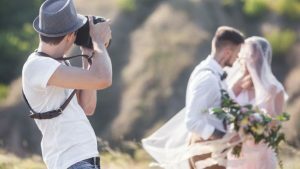 Some of the qualities that a great wedding photographer must possess as discussed below. Photography is more of an art than a science in all its purposes and intents. Hence, the field requires creative minds along with great imagination. A great professional in the photography industry should be able to look at an extraordinary or ordinary subject and interpret them in a million ways. Such interpretations should give the most incredible and meaningful photos to clients. Additionally, a composition is a crucial component even when you are not leaned to the artistic concept. With some guidance from composition rules, your creative mind and excellent imagination could lead you to the production of unique compositions. Photography is an industry that requires you to work with different people who have different attitudes and personalities. Your ability to blend with people will play a vital role in maintaining a healthy professional relationship as you serve your esteemed customers. Understand how to intermingle with different subjects and make them cooperative. That helps in drawing out their right emotions from their inner part. Passion is a virtue that sets an excellent wedding photographer from the rest. Passion can make a photographer handle any work because of their love to learn and deliver outstanding results. Creativity and imagination components are driven by the inner desire to do the job. Therefore possessing this virtue can make you the most exceptional professional in the field.